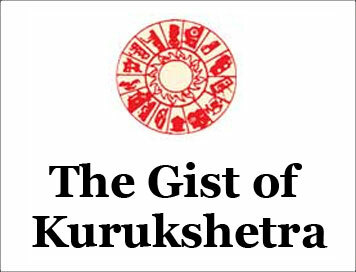 (The Gist of Kurukshetra) AYUSHMAN BHARAT-PMjAY: INDIA’S ANSWER TO UNIVERSAL HEALTH CARE [NOVEMBER-2018] | IAS EXAM PORTAL - India's Largest Community for UPSC Exam Aspirants. India has achieved significant public health gains and improvements in health care access and quality over the last three decades. The health sector is amongst the largest and fastest growing sectors, expected to reach US$ 280 billion by 2020. At the same time, India’s health sector faces immense challenges. It continues to be characterized by high out-of- pocket expenditure, low financial protection, low health insurance coverage amongst both rural and urban population. It is a matter of grave concern that we incur a high out-of-pocket expenditure on account of health and medical costs. 62.58% of our population has to pay for its own health and hospitalization expenses and are not covered through any form of health protection. Besides using their income and savings, people borrow money or sell their assets to meet their healthcare needs, thereby pushing 4.6% of the population below the poverty line. The Government is committed to ensure that its population below the poverty line. The Government is committed to ensure that its population has universal access to good quality health care services without anyone having to face financial hardship as a consequence. Ayushman Bharat-Pradhan Mantri Jan Arogya Yojana (PM-JAY) aims to reduce the financial burden on poor and vulnerable groups arising out of catastrophic hospital episodes and ensure their access to quality health service. It seeks to accelerate India’s progress towards achievement of Universal Health coverage (UHC) and sustainable Development Goal-3 (SDG3). To ensure that nobody is left out, their will be no cap on family size and age in the Mission. The scheme is cashless & paperless at public hospitals and empanelled private hospitals. The beneficiaries are not required to pay any charges for the hospitalization expenses. The benefit also includes pre and post-hospitalization expenses. The scheme is entitlement based, the beneficiary id decided in the basis of family being figured in SECC database. When fully implemented, the AB-PA-JAY will become the world’s largest government funded health protection mission. Health and Wellness Centre:- The National Health Policy, 2017 has envisioned Health and wellness Centres as the foundation of India’s health system. Under this, 1.5 lakh centres will bring care system closer to the homes of people. These centres will provide comprehensive health care, including for non-communicable diseases and maternal and child health services. These centres will also provide free essential drugs and diagnostic services. The Budget has allocated Rs. 1200 crore for this flagship programme. Contribution of private sector through CSR and philanthropic institutions in adopting these centres is also envisaged. National Health Protection Scheme:- The second flagship programme under Ayushman Bharat is National Health Protection Scheme, which will cover over 10 crore poor and vulnerable families providing coverage upto 5 lakh rupees per family per year for secondary and tertiary care hospitalization. This will be the world’s largest government funded health care programme. Adequate funds will be provided for its smooth implementation. The Finance Minister further said, that these twp health sector initiatives under Ayushman Bharat Programme will build a New India 2022 and ensure enhanced productivity, well being and avert wage loss and impoverishment. These Schemes will also generate lakhs of jobs, particularly for women. In order to further enhance accessibility of quality medical education and health care, 24 new Government Medical Colleges and Hospitals will be set up, by upgrading existing district hospitals in the country. This would ensure that there is at least 1 medical college for every 3 Parliamentary Constituencies and at least 1 Government Medical College in each State of the country. Implementation Strategy: At the national level to manage, an Agency would be put In place. States/ Uts world be advised to implement the scheme by a dedicated entity called State Health Agency (SHA). They can either use an existing Trust/ Society/Not for Profit Company/State Nodal Agency (SNA) or set up a new entity to implement the scheme. States/UTs can decide to implement the scheme. States/UTs can decided to implement the scheme through an insurance company or directly through the Trust/Society or use an integrated model. The expenditure incurred in premium payment will be shared between Central and States Government in specified ratio as per Ministry of Finance guidelines in vogue. The total expenditure will depend on actual market determined premium paid in States/Uts where AB-NHPM will be implemented through insurance companies. In States/Uts where the scheme will be implemented in Trust/Society mode, the central share of funds will be provided based on actual expenditure or premium ceiling in the predetermined ratio. Number of Beneficiaries: AB-PMJAY will target about 10.74 crore poor, deprived rural families and identified occupational category of urban workers families as per the latest Socio-Economic Caste Census data covering both rural and urban. The scheme is designed to be dynamic any aspirational and it would take into account any future changer in the exclusion/inclusion/deprivation/occupational criteria in the SECC data. States/Districts covered: AB-PMJAY will be rolled out across all states/ Uts in all districts with an objective to cover all the targeted beneficiaries. Impact: According to international rating agency Moody’s Ayushman Bharat is credit positive for insurance companies as it will aide in higher premium growth. “The launch of universal health coverage is credit positive for the country’s insurers because it will help grow health premiums and provide insurers with cross-selling and servicing opportunities,” Moody’s said in a report. British medical journal Lancet has praised Prime Minister Narendra Modi for prioritizing universal healthcare with his Ayushman Bharat initiative. An article by the journal’s editor-in-chief Richard Horton appreciated the Modi government for recognizing the ‘perils of public discontent about health’ after years of neglect. Modi is the first Indian Prime Minister to priorities universal health coverage as part of his political platform, Horton wrote in his article. How to get covered under Ayushman Bharat Yojana? It’s simple … Just memorize the helpline number of the Ayushman Bharat Yojana, 14555. PM Modi says this number must be memorized by every citizen of India. Ayushman Bharat Yojana helpline: 14555. The scheme is innovative and path-breaking in the history of public health in India, which may have a transformative impact if implemented in an effective and coordinated manner. The scheme will also help in enriching the database of hospitals registered with the Registry of Hospitals in Network of Insurance System and the human capital captured under the National Health Resource Repository project. This can later be used innovatively for improvement of access to and quality of healthcare service in the country. The scheme will have a multiplier impact on the healthcare and allied sectors like pharmaceutical, diagnostics and medical devices and the overall Indian economy by way of employment generation. In the long run, AB-PMJAY should envision strengthening of primary care, inclusion of out-patients treatment and a public healthcare delivery system, and expanding the scope of coverage to the entire population in order to make the government’s transition from provider to payer a successful one and achieve Universal Health Coverage in the true sense.